Every outstanding teacher knows someone who would make a great representative for education. The person who teaches down the hall or at another grade level or perhaps someone you’ve watched from a distance at district workshops. Whoever it is, do they inspire students, plant seeds for their colleagues, and/or take on leadership roles with a clear voice? Here is your chance to honor them and communicate how important they are to the profession. Consider nominating them for the 2019 County Teacher of the Year. If they are selected they will be considered for the honor of 2020 Maine Teacher of the Year. Teachers may be nominated by students, parents, teaching colleagues, principals, superintendents or anyone from the community who wants to honor an outstanding educator. 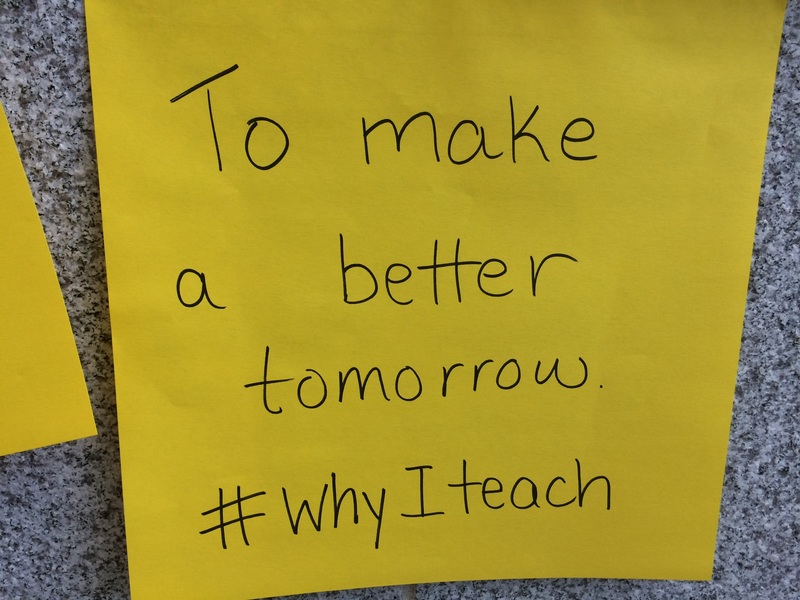 Publicly recognizing outstanding teachers encourages students to think about teaching as a career, and provides the community a sense of pride and investment in their teachers who are making a positive impact on student’s lives every day. To nominate an outstanding teacher as a 2019 County Teacher of the Year CLICK HERE! Deadline: MONDAY, 4 FEBRUARY 2019, 5:00 p.m. The Maine Teacher of the Year program starts with your nomination! 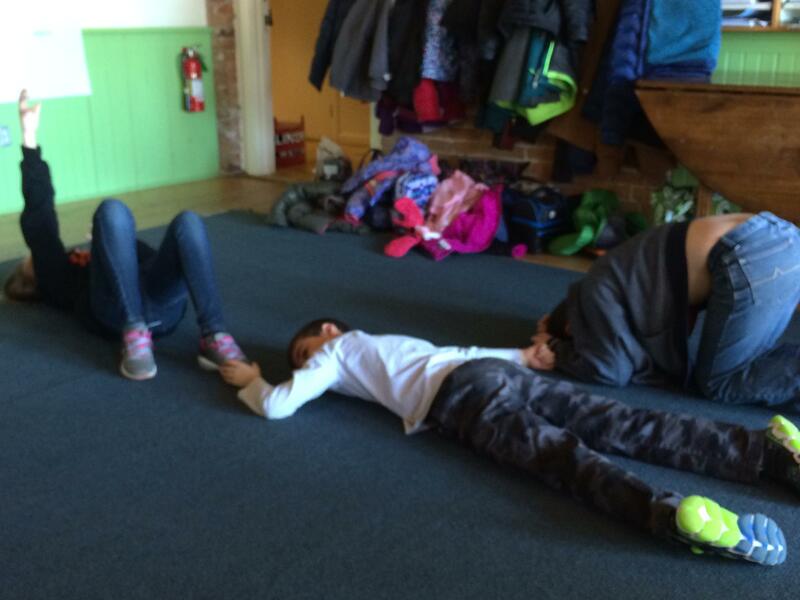 Have been teaching for a minimum of 5 years – 3 of which are in Maine. Be actively teaching students at least fifty percent of full-time employment at the time of nomination and during the year of recognition. Not have been a County Teacher of the Year within the past 5 years. From those nominees, one exemplary teacher from each of the 16 Maine counties will be selected as a 2019 Maine County Teacher of the Year. From the 16 County Teachers of the Year, 8 semi-finalists are selected. The field is narrowed to 3 state finalists, one of whom will be announced as the 2020 Maine State Teacherof the Year at a surprise school assembly in the fall of 2019. 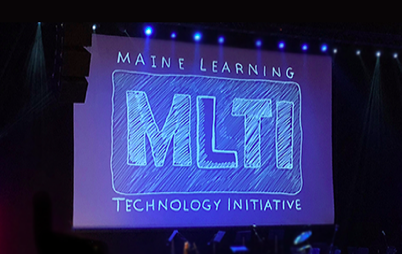 The Maine Teacher of the Year program is administered by Educate Maine in partnership with the Maine Department of Education. The Maine State Teacher of the Year represents Maine at the national level and becomes eligible for the National Teacher of the Year award. Please contact Dolly Sullivan at Educate Maine if you have questions or want more information on the process. Please don’t miss this opportunity to honor and recognize a great Maine Teacher! 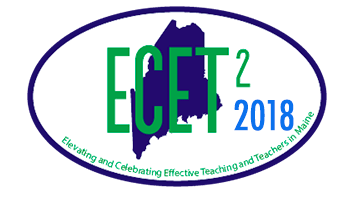 The ECET2 – Elevating and Celebrating Effective Teachers – conference held last week at Colby College was outstanding. ECET2 Maine is an educator community and two-day event and based on the ECET2 national model offering a unique opportunity for teachers from across Maine to connect with other practitioners to gain leadership skills, share innovative classroom practices, and be “celebrated” for their work on behalf of Maine’s students. There were three Cultivating the Calling speeches that provided seeds of inspiration. 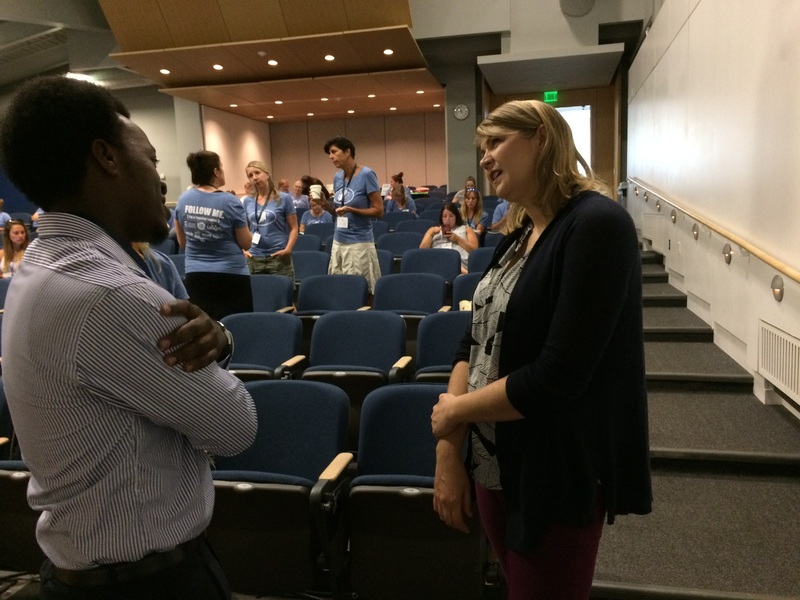 Hearing educators stories is motivating and validating. 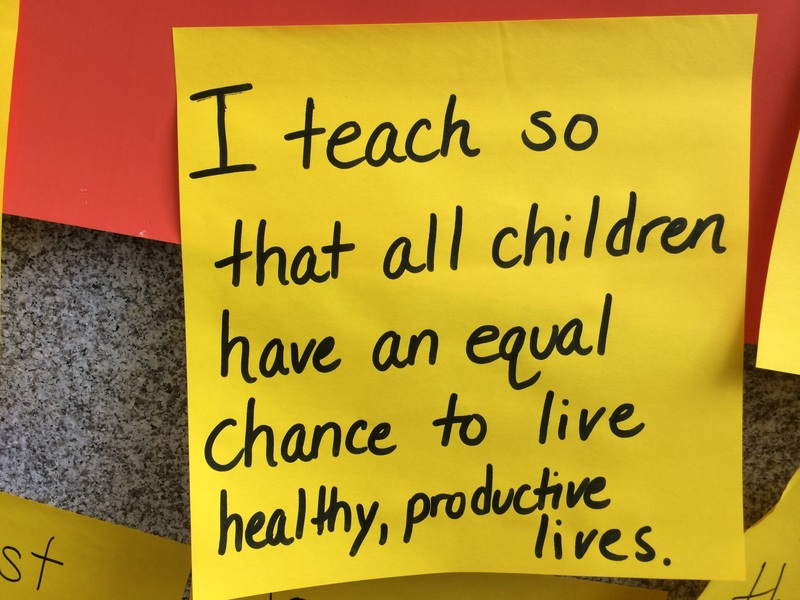 One was provided by the 2017 National Teacher of the Year, Sydney Chaffee. She has been moved by her own students stories and by Maine’s Poetry Out Loud champ Allan Monga. The breakout sessions were terrific, presented by thoughtful educators sharing their ideas and practices. The Colleague Circles provided time to discuss challenges and successes and it was made clear that we share so much across our state in schools/districts. 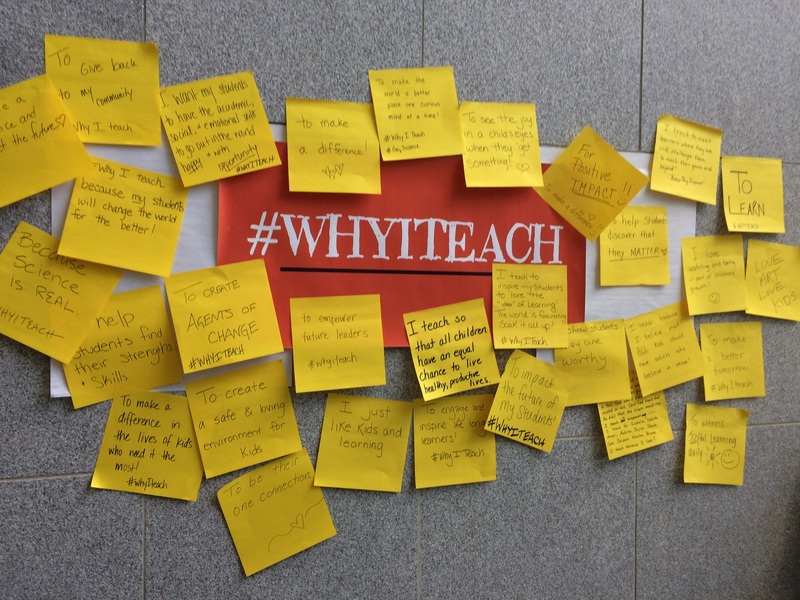 Participants could add their “Why I Teach” to a wall and I’ve included some of them in this blog post. You can see that the arts were well represented. The conference closed out with a Shark Tank where three teams pitched their ideas. Five hundred dollars was given to the most convincing idea which was decided by participants votes on Twitter. And, of course, the door prizes were super! A great big thank you to the planners – once again they did an outstanding job providing an opportunity that was “spot on” for educators! 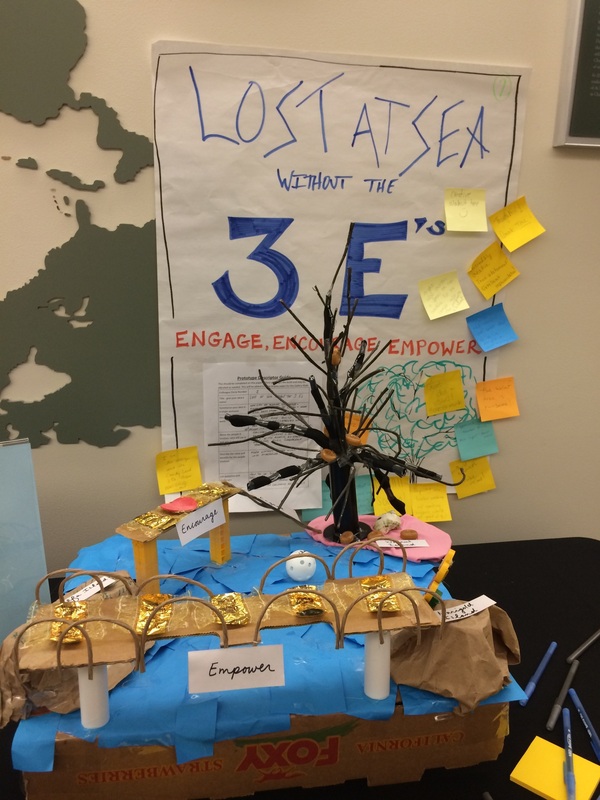 There were at least 5 participants who said they will be working on having an ECET2 event in their communities. Watch for the information as it becomes available on their website or Facebook. 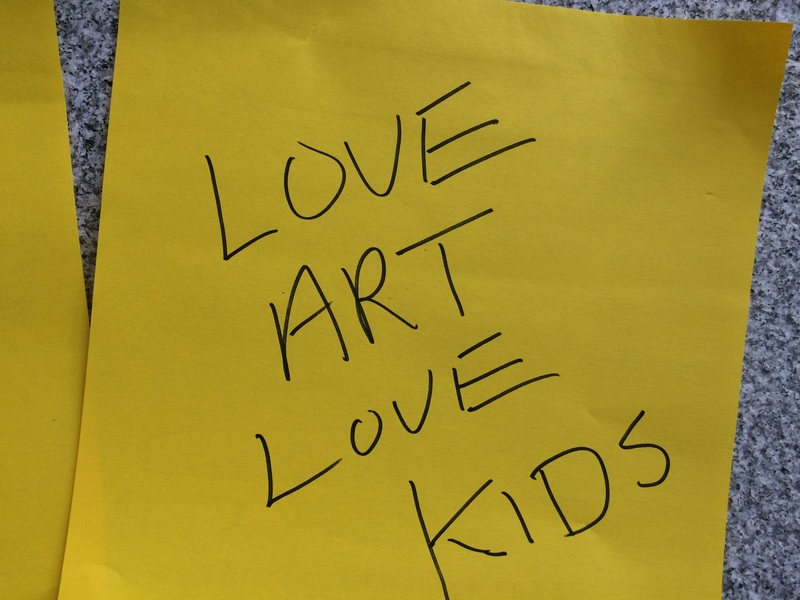 The Telling Room is a recipient of an Arts Learning grant this year from the Maine Arts Commission. I was thrilled to have the opportunity to visit their site in Portland not long ago. It was charged with creativity and excitement for learning. While visiting a group of students from the Biddeford Schools Gifted and Talented program were participating in a lesson. I had the opportunity to observe, participate, and speak to the participants. I also had the chance to meet with the staff and they kindly followed up with information that is included in this blog post. Thank you all for your contributions! 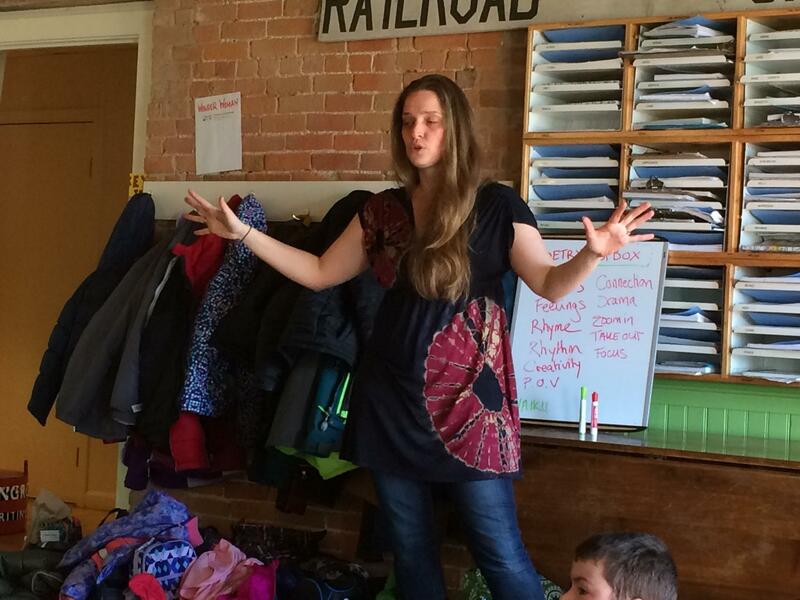 Suzanne Tighe, Biddeford teacher, has worked with the Telling Room staff for three years. Thank you for helping to support the Telling Room. This is my 3rd year bringing students to the Telling Room or having them come to my school. My students always look forward to the visits. My 5th graders this year did not get to visit with Marjo and they were so disappointed. She has been my contact person for the past three years. She has always made it a point to get to know the students and they feel that connection. One of my boys, a reluctant writer, was so looking forward to working with Marjo this part Monday. He wanted her to be the one to help him develop his writing. I feel that the greatest benefit for the students is the level of investment they have in their writing after working with them. This interest and excitement about writing is then transferred to their every day writing. The students never know who they will be able to work with; a writer, photographer, a musician, artist or poet. This allows my students to work with adults who have a range of interests. Many of my students play musician interments or are gifted in the visual arts. The opportunity to work with these artists is a wonderful experience. For myself, its a great way to see some new ideas or see some old techniques reinvented. This allows me to use these techniques with other students. Its also an opportunity to talk about writing with a colleague and share ideas. Marjolaine Whittlesey is a Teaching Artist Associate at the Telling Room and worked with Suzanne’s students at the school and again on the day I visited at the Telling Room. Our space and our programing serves to create a safe space for each student to explore their own unique voice, which opens them up to their creative selves. 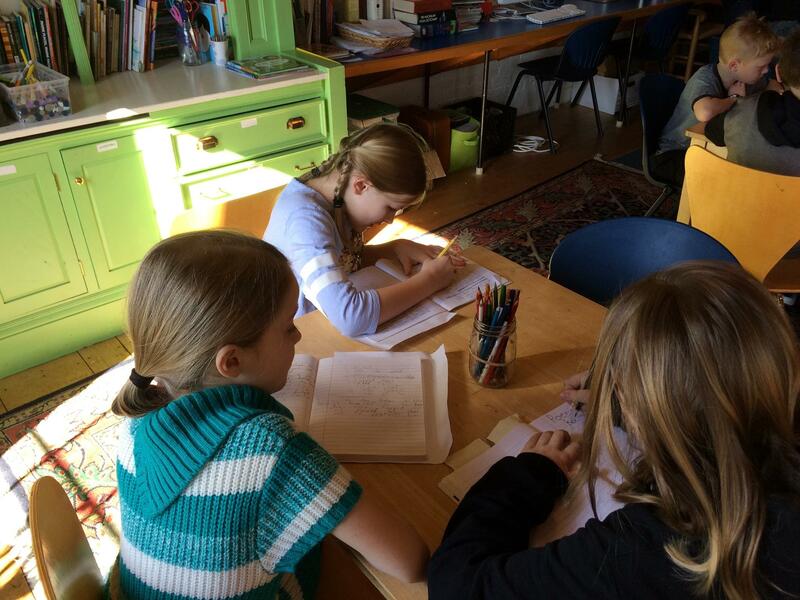 Our programs often start with generative work that allows each student to find a way into the writing process. Our activities and warm ups strive to reach various learning types so that any student can feel inspired and successful. Our focus on writing as mostly rewriting is a skill that will serve any student throughout their whole life. We present revision as focused play rather than tedious work. Hopefully that sticks! My hope is that each student remembers the excitement and pride they felt around writing and sharing. I hope that they can remember specific details about what they wrote or heard in others’ stories. Even if they can’t remember an exact writing exercise, my goal is that each student leaves a TR program being more curious about the world and their experience in it. Students come to The Telling Room on a Field Trip with their class as a three hour experience. I love to hear when they return to school and continue to work on the pieces they started during the Field Trip and it becomes a bigger part of their classroom experience back at school. We had one student enjoy the writing they did with us in their Field Trip so much that they asked to return to The Telling Room for a Summer Camp — and then they followed that up with a semester-long afterschool program! They discovered that they loved to write and found a space to continue developing that love at The Telling Room. Nick Schuller is the Program Director at The Telling Room. Sometimes we hear that “today’s young people” have difficulty receiving feedback or being told “no,” and that constant exposure to screens impedes their natural curiosity. 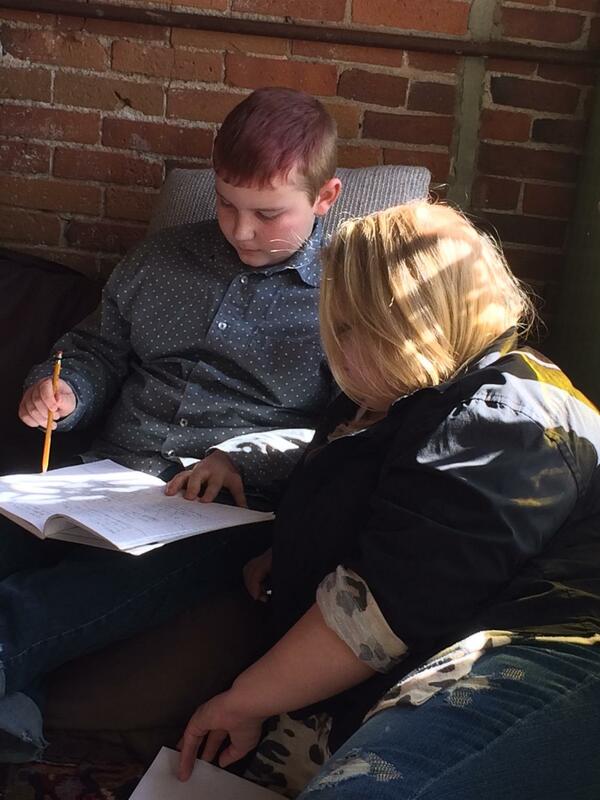 Our work in field trips like this one counteracts those concerns: rather than shutting down because of constructive criticism, our young writers are encouraged to see an opportunity for new creative expression. We hope they’ll see that inviting diverse voices into the feedback process can foster collaboration and ultimately the product will be stronger as a result. I always hope that we light a spark, and that field trip attendees will go back to school with a new energy for writing. I also hope that all of the students received a confidence boost from knowing that they can engage in the revision process and come out feeling encouraged. Sarah Schneider is the Development Director at the Telling Room. The opportunity to encounter writing in a new way—either through games and activities, other art forms like theater and performance, or simply being in a new space with time to write—can free up students to think in new ways and engage their imagination. Even reluctant writers often begin to open up in a field trip as they learn and practice writing a story they want to tell and that people will be eager to hear. One of the key things students get to do with us, even on field trips, is share their writing—a whole piece, or even just a word or a sentence—with their peers. Getting a chance to share the story or poem they’ve been working on with an audience is a big part of building confidence. 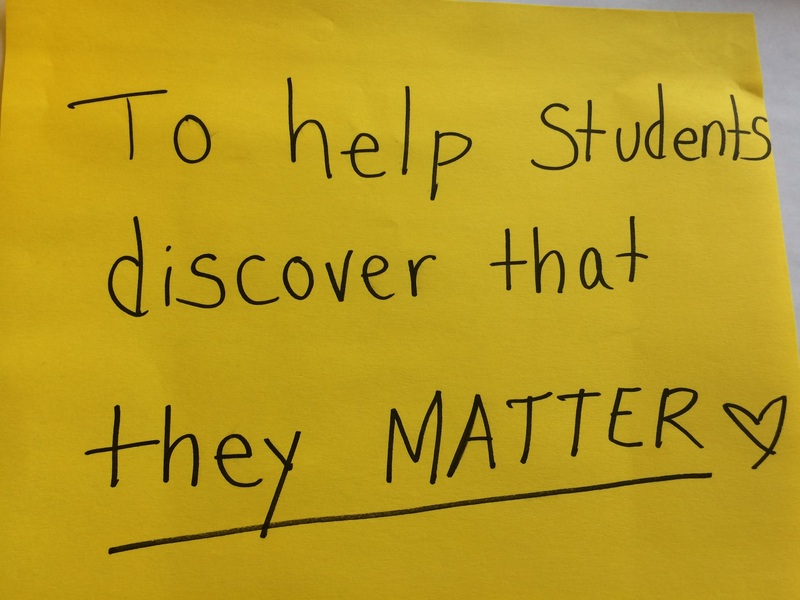 I hope that students remember that they can be bold and take a leap out of their comfort zone—in both writing and sharing their work—to discover things they didn’t know were inside them and to share their stories and voices with all of us. Celine Kuhn is the Executive Director at the Telling Room. I hope that students will remember that we offered them a safe and creative space to write for fun, tell their stories and find their voice. What we do every day is equip kids to succeed in and out of school. On Monday, April 9 at 1:30 p.m., Cross Building, room 202, State House complex in August there will be public hearings on two bills that impact Maine education. Send an email to Jayne Deneen at Jayne.Deneen@legislature.maine.gov with L.D. 1898 or L.D. 1900 in the subject line and she will distribute your testimony to the committee members. She will distribute your communication to members of the committee. “I recently retired from the classroom after 37 years of teaching. At the middle school where I taught, we transitioned to a proficiency-based model during the last few years of my career. That change was a consequence of our decision to separate the reporting of academic learning from the reporting of work habits and share this more honest information with parents and students. 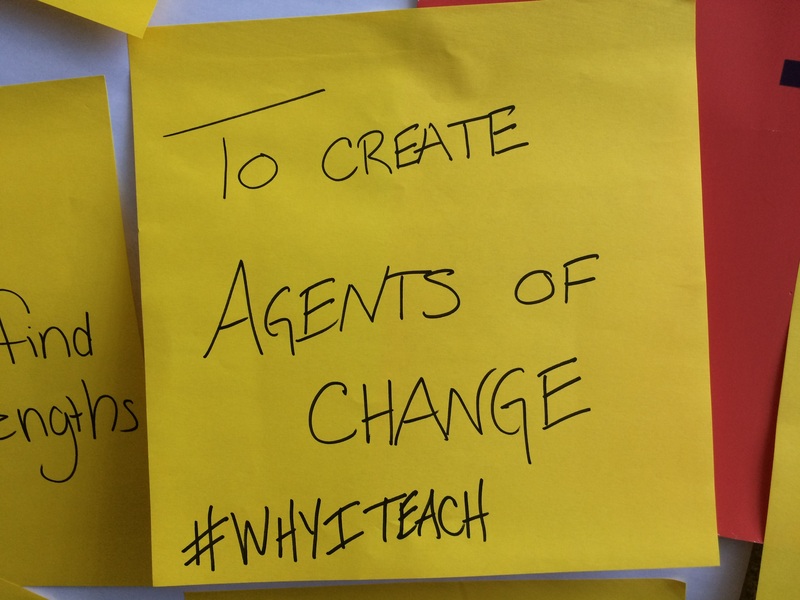 The change was also about being very explicit about the important learning at each grade level and how we would effectively teach and assess that learning. Finally, we made the shift to provide students and parents with clear guidelines for demonstrating proficiency in a specific area”. The article was published in the Maine Press Herald, March 29. Read the entire article HERE. Be sure and read the comments as well.